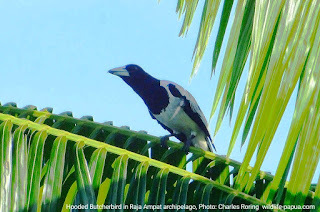 I had a birding trip to Tambrauw Mountains early this month. I spent 3 days visiting several forest areas of the region to meet villagers and explore the rainforest. During the trip, I saw interesting birds such as Lesser Birds of Paradise, Forest Kingfisher, Yellow-faced Myna, Papuan Blyth's Hornbill, Sulphur Crested Cockatoo, Palm Cockatoo, Brahminy Kite, and quite interestingly a Red-necked Phalarope/ Northern Phalarope (Phalaropus lobatus). 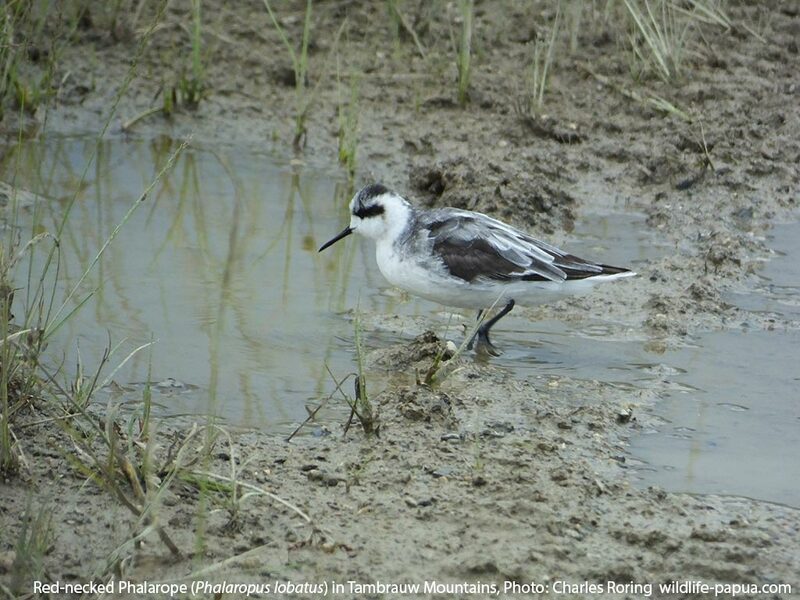 According to several reports on the internet this Northern Phalarope breeds in the Arctic. They migrate to the south during winter time. However, most of them spend their time on the ocean. 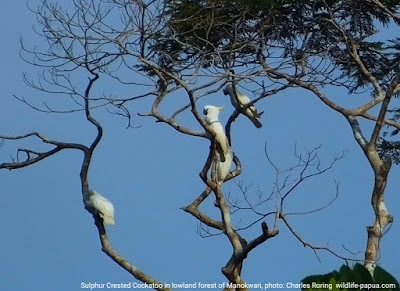 Field guide book Birds of New Guinea (written by Bruce Beehler, and Thane K. Pratt) says that only two records from land, one carcass found on the glacier on Mount Jaya and one in a paddy field near Merauke. So, the sighting of Red-necked Phalarope in Tambrauw Mountains is a new information for anybody who observes migratory birds. I only saw one bird at the time. It was amazing to see such a small bird that took a very long journey from Arctic region to West Papua. 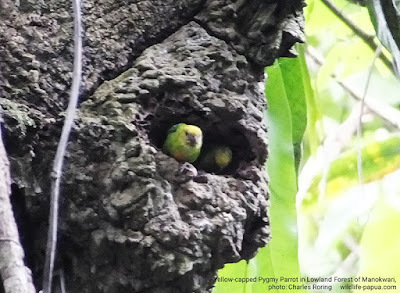 If you are interested in taking a birding tour in the rainforest of Tambrauw Mountains, and want me to organize your trip, please, contact me by email to: peace4wp@gmail.com or by sending text message to my whatsapp: +6281332245180. Tambrauw is a mountain range that is located in the vogelkop region of West Papua. It is covered by tropical rainforest. I visited the mountain a few days ago to see the biodiversity of the forest environment. 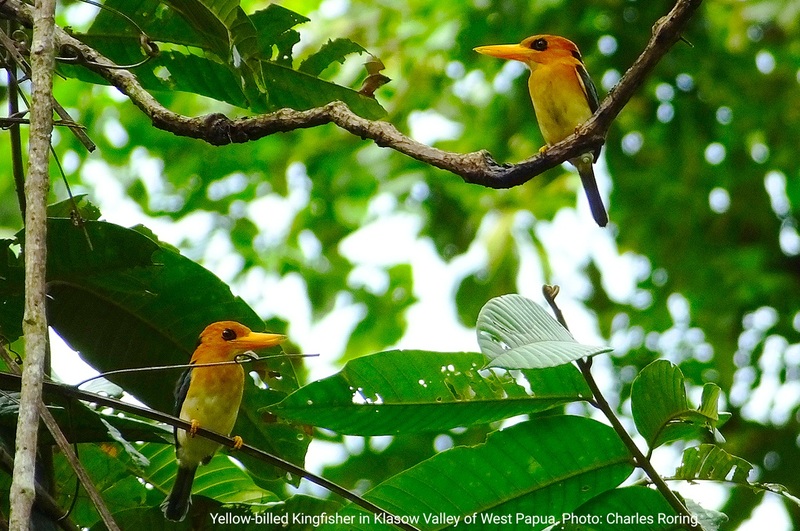 The tropical rainforest that covers the mountains and valleys of this regency is the natural habitat of a lot mammals, reptiles, marsupials, and insects. 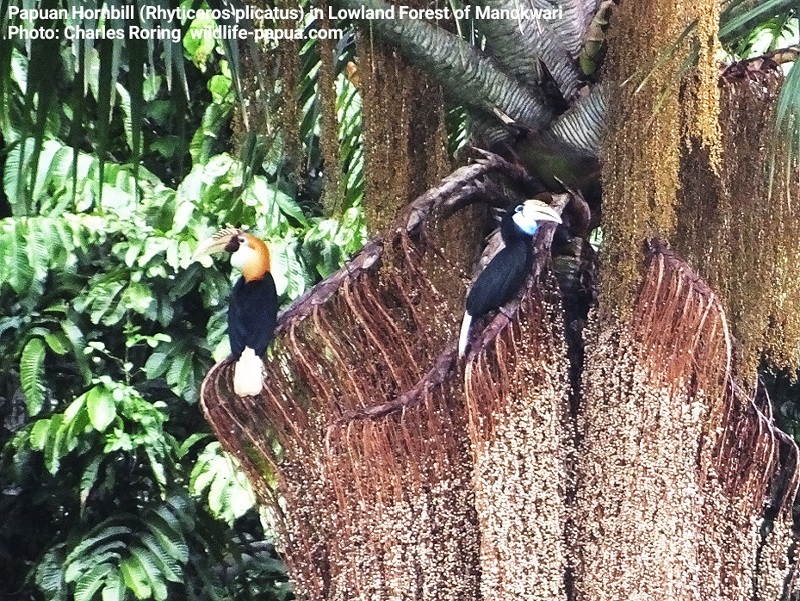 There are unique tropical trees, shrubs and lianas that visitors can see while walking through the dense forest of Tambrauw. Birds such as Magnificent Riflebird (Ptiloris magnificus), Magnificent Bird of Paradise (Diphyllodes magnificus), Lesser Bird of Paradise (Paradisaea minor), King Bird of Paradise (Cicinnurus regius), New Guinea Vulturine Parrot can be found in Tambrauw regency. 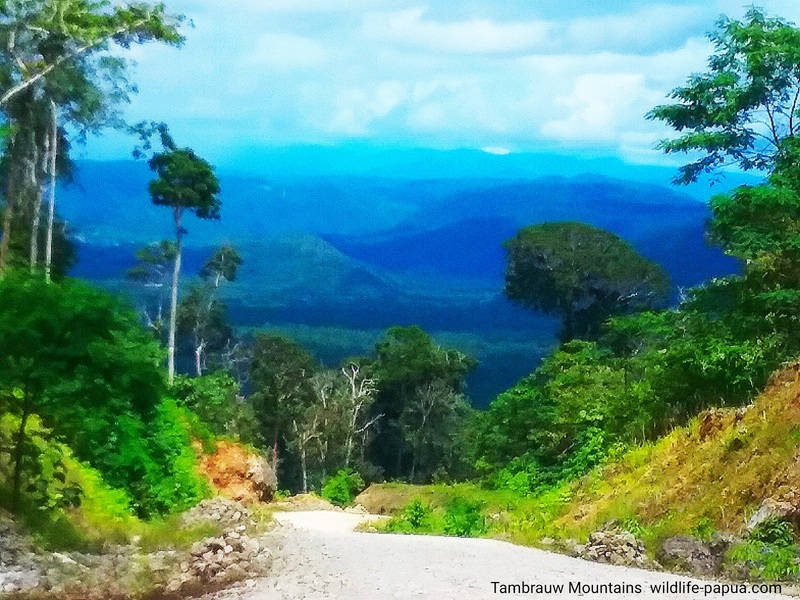 Cuscus possum, deer, wild pigs, soa-soa monitor lizard, and a lot of species of insects also make the mountains as their natural habitat. While I was traveling in the mountains I saw plants such as sago, bamboo, a lot of kinds trees in the slopes and flat lands. There are two entry points which visitors can choose to reach Tambrauw, i.e. Manokwari city and Sorong city. 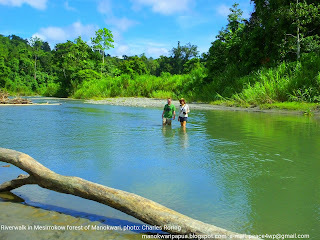 If you fly into Manokwari, you will be able to fly to Anjai and then by 4wd car to Tambrauw Mountains. If you fly into Sorong city, I can organize your trip to Fef town by a chartered 4wd car. 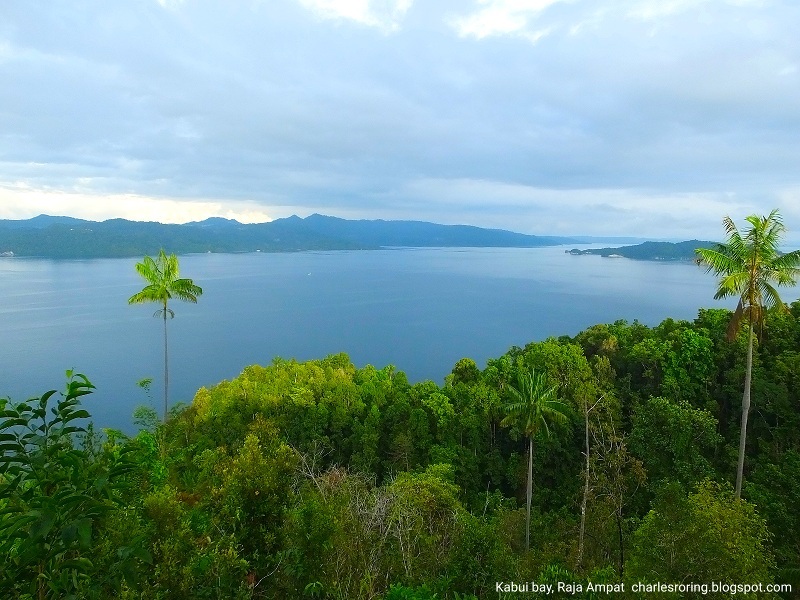 Nature lovers who are interested in seeing rainforest are highly recommended to go to Tambrauw Mountains. As a tourist guide, I organize rainforest tour for everybody who wants to explore the wealth of bio-diversity of Tambrauw. The duration of the tour is 5 to 7 days. If you are interested, please, contact me (Charles Roring) by e-mail to: peace4wp@gmail.com or send whatsapp message to: +6281332245180. I visited Raja Ampat last week. I went there crossing thea sea from Sorong city to Waigeo island by fast passenger boat to do some birding and sightseeing trip in the southern region of Waigeo island particularly near Kabui bay. 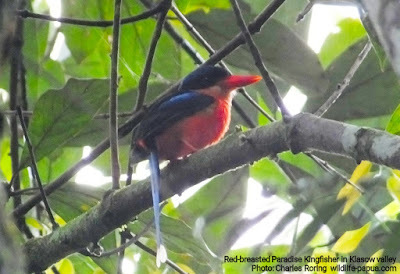 I was a n unforgetable journey because I was able to watch Red Bird of Paradise (Paradisaea rubra), Palm Cockatoo (Probosciger aterrimus), Spangled Drongo (Dicrurus bracteatus), and a lot of other birds that live in lower montane forest of Waigeo island. I stayed at a wooden house built on the water. The scenery of the surrounding waters was very beautiful. To watch Red Bird of Paradise, I had to wake up early in the morning at 05.00. It was still dark. 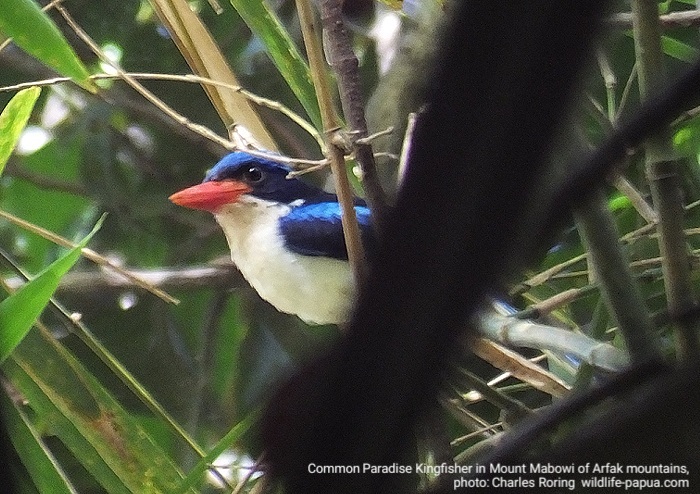 After drinking some water and wash my face, I and my friend walked up the slopes of Waigeo to reach the birding ground of the paradise birds. It took around 40 minutes to reach it. Arriving at that place, we climbed an observation platform whose height was approximately 5 meters above the ground. Some male Red Bird of Paradise were already sitting on the branches of the tree. They were waiting for their female counterparts. It did not take long for us to watch their dance performance. After a 15 - 20 minute-waiting, we began to hear the sounds of their calls. 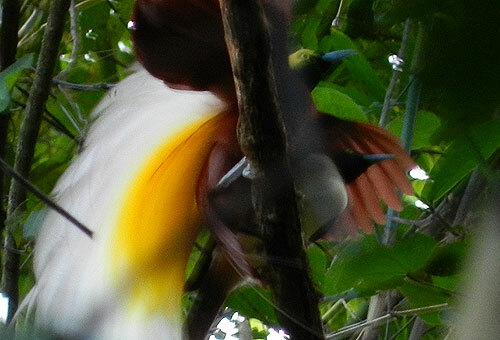 These were followed by the courtship dance performance of two male birds of paradise. They did this to attract the attention of female bird of paradise for mating. I turned on my digital camera. It was a Fujifilm HS50EXR and then slowly moved to an open space on the platform where I could see the birds clearly. When I saw that one of the male birds was dancing with his whole body on the upside down pose, I quickly aimed my camera and shot him several times. It was a nice shot but the early morning light was not bright enough. The pictures of the birds of paradise were good enough. As a tour guide, I offer birding and snorkeling trip to Raja Ampat for anybody who wants to see tropical birds, coral reef and fish of this wonderful archipelago. I can guide solo traveling visitor and be a birding and snorkeling buddy. 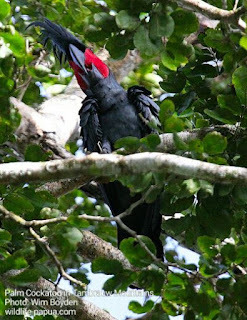 I can also organize a multiple day birding and snorkeling tour for a group of 2 to 8 visitors or even more who wants to watch birds in Arfak mountains, Sorong regency and Raja Ampat. As the epicenter of marine biodiversity, the sea of Raja Ampat is the natural habitat of thousands of species of marine animals including anemonefish, surgeonfish, lionfish, damselfish, grouper, manta, turtles, and a lot more. Please, bring your own snorkeling gear such as mask, snorkel, fins. You can also bring an underwater camera if you want to enjoy snorkeling in the waters of Raja Ampat. 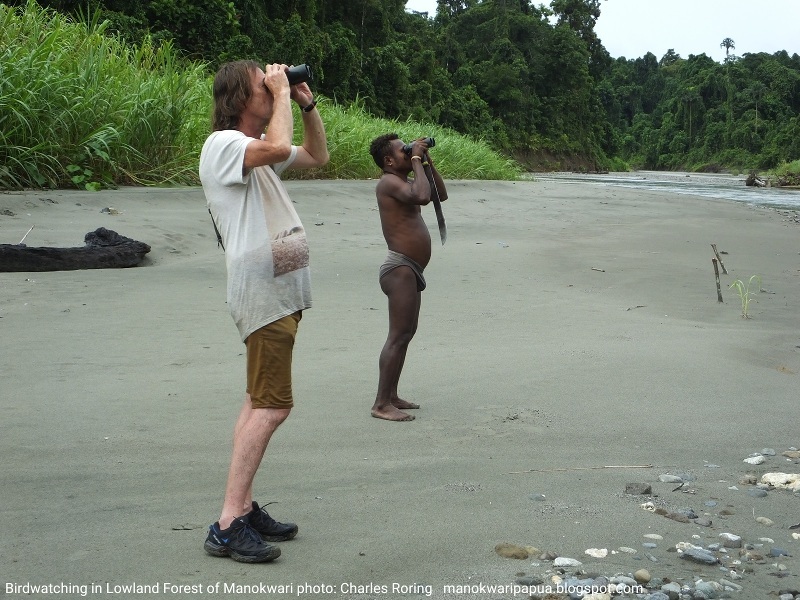 I have just returned from lowland forest in northwest region of Manokwari where I organized a 4-day/ 3-night birdwatching tour for a French tourist - Mr. Laurent Benier. We walked along the banks of a river to watch tropical birds such as Papuan Blyth's Hornbill (Rhyticeros plicatus), Little Egret (Egretta garzetta), Yellow-faced Myna (Mino dumontii), Palm Cockatoo (Probosciger aterrimus), Sulphur-crested Cockatoo (Cacatua galerita), Eclectus Parrot (Eclectus roratus), Black-capped Lory (Lorius lory), Rainbow Bee-eater (Merops ornatus), Dollarbird (Eurystomus orientalis), Glossy Swiftlet (Collocalia esculenta), Grey Goshawk (Accipiter novaehollandiae). Little-ringed Plover (Charadrius dubius). The land along the river area is mostly flat so, it is very suitable for birdwatchers who want to enjoy easy birding walk, swimming, and camping. 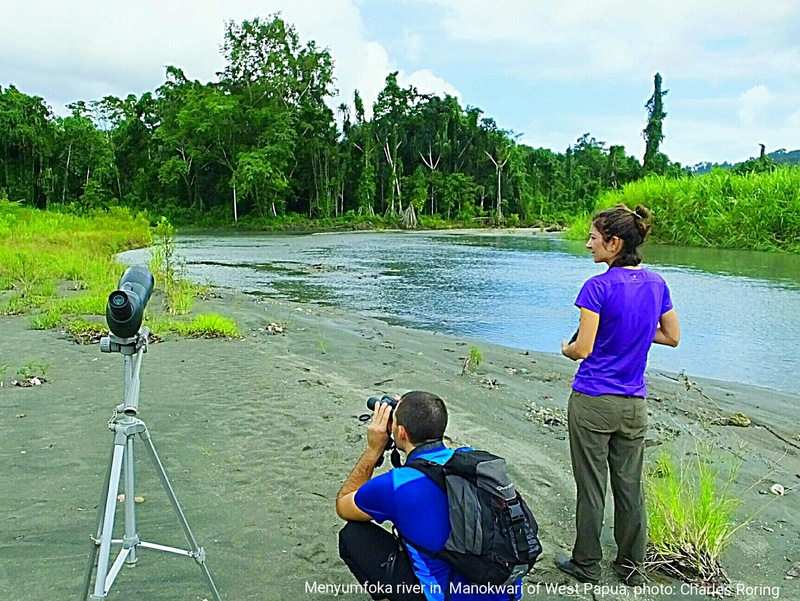 Lowland forest of Manokwari as tourist destination for birdwatching is relatively new compared to Arfak mountains. However, tourists who go there and spend a few days in the forest say that they enjoy the birding and camping activities very much. During the day, bird activity decreases. Visitors can enjoy swimming, and sunbathing or do some nature walk inside the jungle. There are also fish in the river. Local guides like to catch fish and fry them for lunch or dinner. They catch fish by using hook and line, by using spear or gun, or by spreading net. 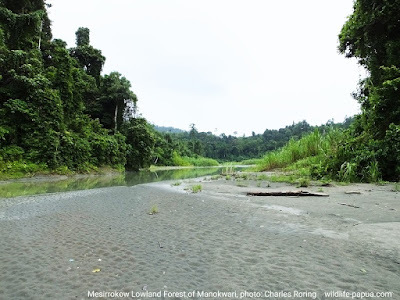 The lowland forest of Manokwari is also the natural habitat of a lot of species of butterflies, dragonflies, beetles, grasshoppers/ katydids. So, it is a nice place for visitors who are interested in watching insect too. Water shoes and flipflop - you do not need hiking boots. You need water-shoes or footwear that are resistant water. Flashlight/ torch - we do birdwatching during the day and to certain extent at night. 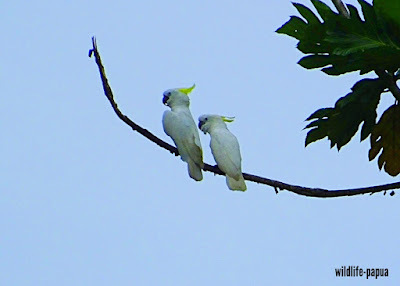 We do nigt walk to find cuscus possum, Papuan Frogmouth and Nightjar. Binoculars - having a good pair of binoculars will enhance your birding experience especially if you want to see the details of eyes, wings or colors of birds that sit on the branches of distant trees or that fly in the sky. You could also bring your spotting scope if you have it. 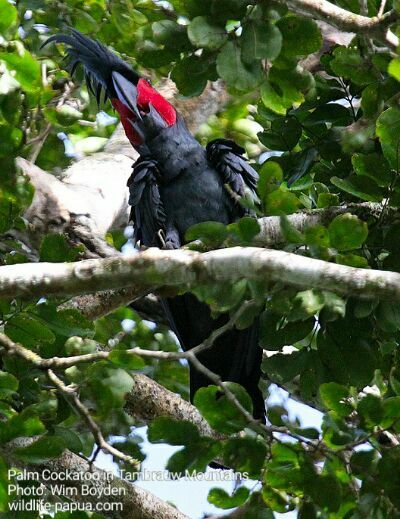 Fieldguide book "Birds of New Guinea written by Thane K. Pratt and Bruce Beehler. Camera - I personally use Fujifilm Finepix HS50EXR. It has got telephoto lens. I highly recommend that visitors bring D-SLR camera with telephoto lens. If it is too expensive, a bridge camera such as Nikon Coolpix P900, Canon Powershot SX60 HS can be a good choice for taking pictures of birds. 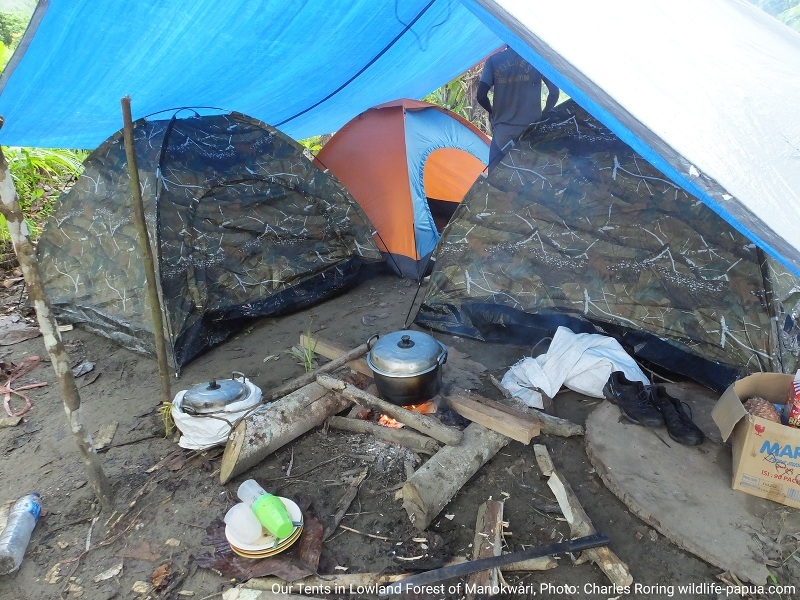 You do not have to bring tents, cooking and eating utensils. As a tour guide, I can provide them for you. 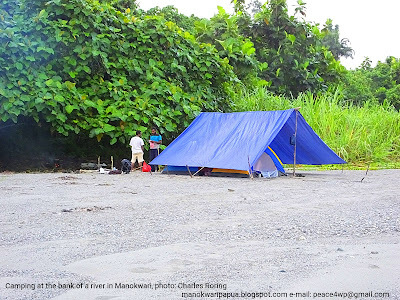 It is easy to go to Manokwari. First, you need to fly to Jakarta or other major cities in Indonesia. 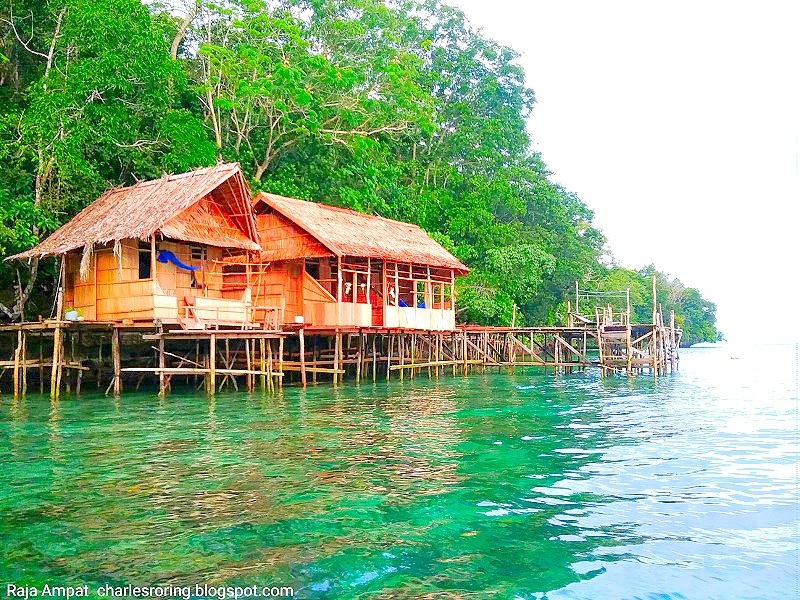 Second, find a domestic flight that will bring you to Manokwari city. 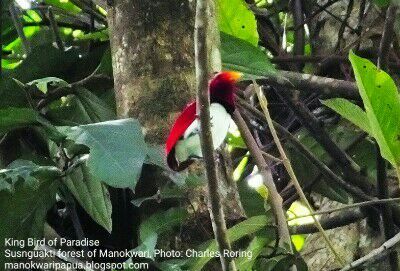 I will be happy to meet you at the airport or hotel in town and organize your birdwatching trip to lowland forest of Manokwari. Here is my (Charles Roring) email address: peace4wp@gmail.com and whatsapp: +6281332245180 if you are interested in visiting Manokwari and enjoy birding and camping with me. I have guided hundreds of tourists on various birding tours in tropical rainforest of West Papua. 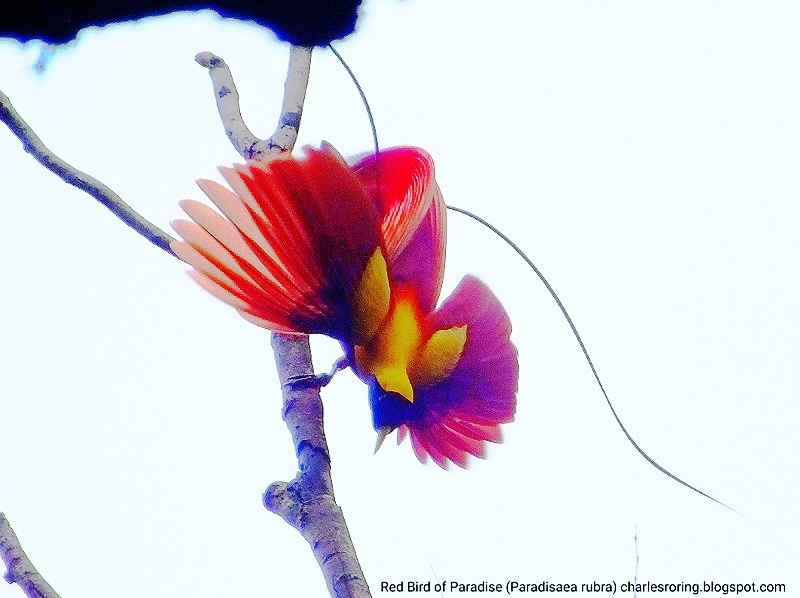 One of the main targets which they want to see is bird of paradise. There are tens of species of paradise birds. The famous one is the Lesser Birds of Paradise (Paradisaea minor). These birds live in lowland to lower montane forest and are usually active in the mornings and in the afternoons. To watch them, visitors need to wear a good pair of binoculars such as the 10x42 mm. If you haven't seen the birds in their natural habitat, here is a photo print link from my zazzle store which you could click to see. It will be a good decoration for your room. 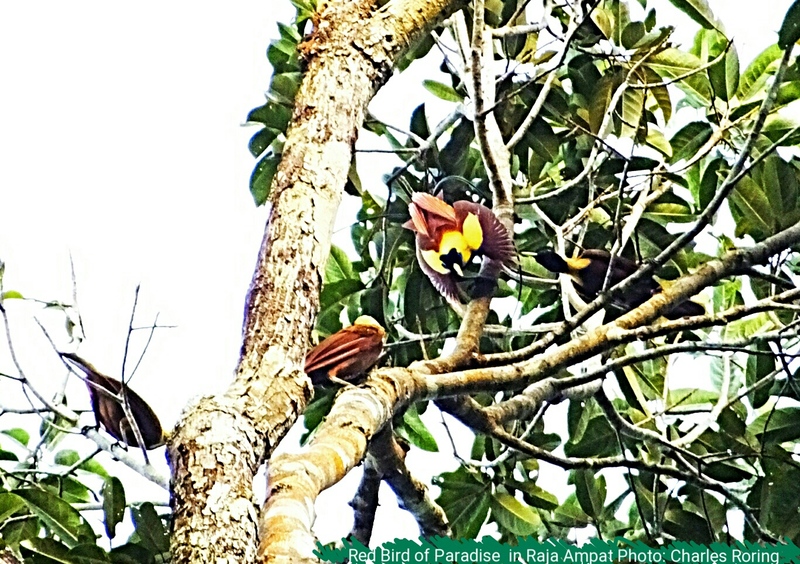 Lesser Birds of Paradise can be watched in Klasow valley of Sorong regency, in Arfak mountains of Manokwari and in Tambrauw mountains. However, it is not the only bird species that visitors can watch. There are a lot of other birds and wild animals which visitors can see in the forest.